LOVE YOUR CHILD TO SLEEP. Gentle sleep solutions for babies and children. Are you confused and frustrated by your child's sleep? 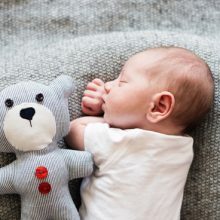 Sleepy Miracles provides gentle sleep solutions for babies and children up to five years old through simple, proven and easy-to-implement steps. 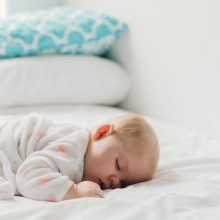 Taking a holistic approach provides us with the opportunity to determine the root cause of your child’s sleep challenges while using our gentle methods to create the foundations needed for healthy sleep. We are devoted to working with parents within their comfort zone using the sleep strategies that best suit the values of their families. Sleepy Miracles is committed to respecting your parenting philosophy and working with you in a non-judgmental way. We fully support breastfeeding families, and will not ask you to leave your child unattended or to do the cry-it-out method. If your family needs a good night’s rest, Sleepy Miracles can help. We believe that teaching healthy sleep behaviours is one of the most precious gifts a parent can give to a child. “Her approach was gentle on us and our baby.” Maria has completely transformed our lives. Now that our baby is sleeping through the night and napping well, we all feel much happier and well rested. 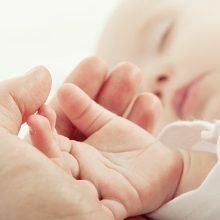 “Words cannot express our gratitude.” Meeting Maria provided us with a sense of connection, which is essential when you’re working with an expert to solve your baby’s sleep troubles. We felt confident that she was knowledgeable, confident, kind, and truly cared about our family. “It was the best investment we ever made” We wish we started sooner! Prior to working with Sleepy Miracles, we were exhausted zombies, awake every two hours at night! We now have a schedule that works, time and energy for our son and each other. Thank you so much Maria! Your journey to happy, healthy sleep starts here. This initial call will give us the opportunity to chat a little bit about your child’s unique situation and know if a consultation with us is the right solution for your family. We are here to listen and support you!